Denmark is expected to pass a law to confiscate jewelry from refugees in order to 'make ends meet', Swedish national public TV broadcaster STV reported. The proposal, which has the support of the anti-immigrant Danish People's Party Denmark's second largest group is expected to pass next month. 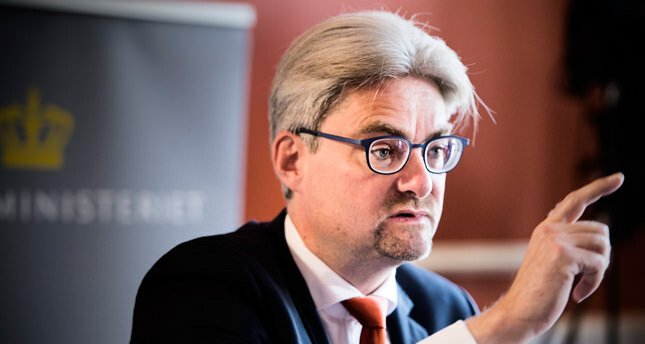 Justice and Immigration Minister Sören Pind had last week defended the move during a live news program on a state-run TV channel saying, "This way the revenue that is obtained can be used to meet the costs of the refugees." However, Pind underlined that wedding or engagement rings, watches and cell phones would not be confiscated, but all items with a value over 300 euros would be seized by the government. While the law is already drawing public criticism from Denmark and Sweden, police are trying to determine how it will be enforced. Denmark has been getting a bad reputation in Europe, especially since the Nordic country launched anti-refugee ads in September and shut off rail way links to the country. Its anti-refugee stance has been in full spate since Denmark's ruling Liberal Party won power in June on an anti-immigration platform. According to the Danish Immigration Service (DIS), numbers indicate a skyrocketing refugee population in Denmark. Nearly double the number of refugees sought asylum in the country in 2014 than 2013, going from 7,557 to 14,815. Of the 14,815 refugees who sought asylum last year, less than half were granted official refugee status, totaling 6,110. The two largest groups who sought asylum in 2015 were from Syria and Eritrea. Officials said that the recent refugee surge has become an opportunity for some gangs in Denmark. The gangs are making large amounts of money through assisting the refugees during their journey to Europe. The Denmark police recently conducted raids to arrest people for human smuggling.